Our Couture Collection Engagment Ring, again classic in form but yet standing out from others,a combination of rose and white gold, accented with gleaming pave set diamonds a popular design with our brides to be. Note: Optional polished gold center details, available in Rose, White & Yellow gold. Center Diamond available from 1.00ct and up. 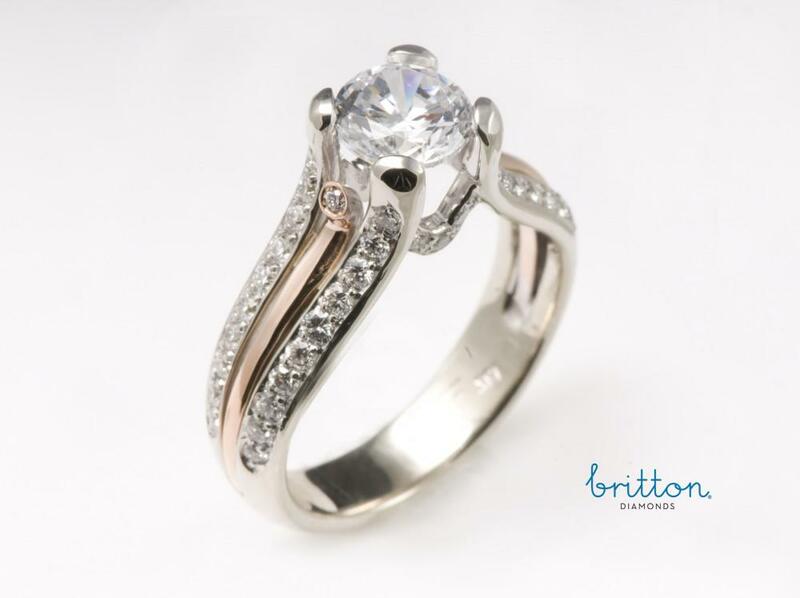 All center diamonds are GIA or AGS certified. All diamonds are ethically sourced with the Canadian Jewellers Association. SKU: 100-00129 Categories: Contemporary Diamond Rings, Engagement Rings. 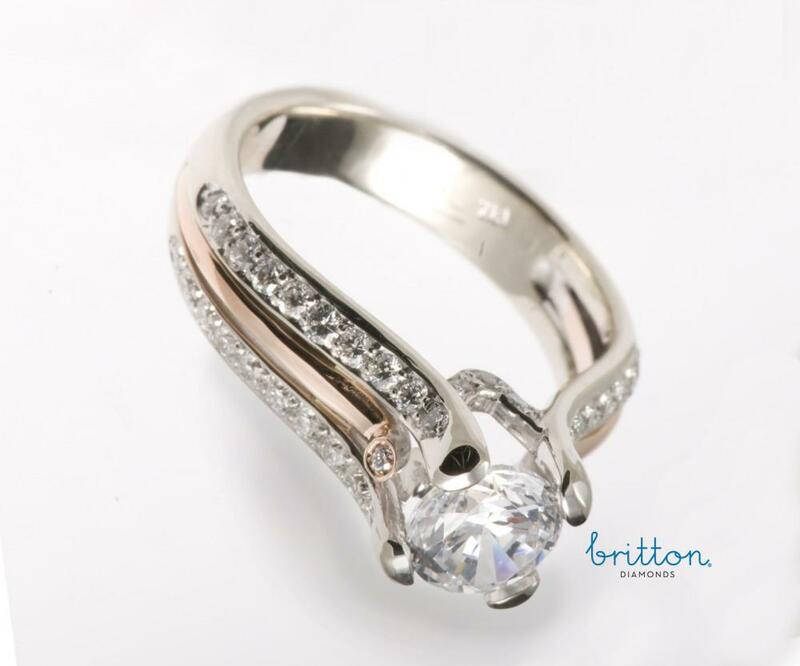 Tag: Contemporary White & Rose Gold Diamond Engagement Ring.